During the later years of Albert’s life, working on the docks and boat was the ideal summer job. 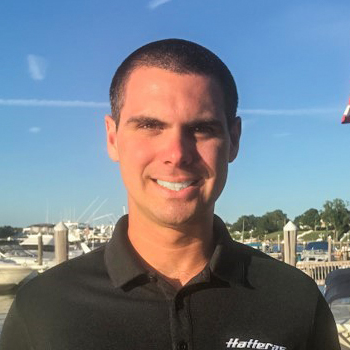 After cleaning and detailing various boats on his docks, he turned his side job into a full-time cleaning and detailing business, providing him more knowledge about various boats. More importantly, while maintaining his clients boats and forming relationships with them his time on the water earned the trust and respect of the local maritime community. After years of hard work and dedication, he found himself working competition sport-fishing boats. This opportunity opened up the new, exciting world of sport-fishing in the Northeast Canyons. You will primarily find him in the marinas of Cape May and walking the docks in South Jersey area. When he is able to slip away from work, he will be out on the boat fishing. With a Business Management degree from Monmouth University and years of on water experience you can be rest assured your boat buying and/or selling decision is in good hands.